Those that live in Pickens County will have many opportunities to enjoy Christmas celebrations throughout the month of December. Tomorrow, Dec. 11, the city of Pickens will hold its annual Christmas Parade. The theme is “The Doodle Express.” People are encouraged to get there early to watch it. For more information, contact Allison Fowler at afowler@pickenscity.com. 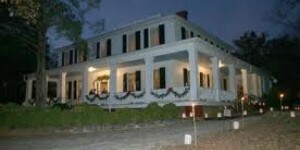 Also tomorrow, Dacusville will hold its Christmas awards and tree lighting. The awards ceremony will be at 7 p.m. with the tree lighting to follow. Saturday, Dec. 12, Dacusville will hold its Christmas parade at 2 p.m.
Saturday, Dec. 12, is one of several dates that the Pendleton History Foundation invites everyone to the Candlelight Christmas at Ashtabula, a 19th century Christmas celebration. You can enjoy brief vignettes reenacting the life of the Broyles family and their house servants. Performances are from 5:30 – 8:30 on Saturdays and 2 p.m. – 5 p.m. on Sundays. The cost is $10 for adults and $5 for children 5 – 10. Tickets can be purchased at www.pendletonhistoricfoundation.org. Sunday, Dec. 13, you can experience Christmas at the Barn. Visit Santa, ride reindeer, experience a live nativity scene and play games. You can also enjoy baked good as well as arts and crafts. No smoking or dogs, please. For more information, contact Becky Sweeney at Sweeney-edenfarmssc@aol.com. Saturday, Dec. 19, you can enjoy the Ed Harrison Memorial Celtic Christmas at Hagood Mill. It honors its namesake who was a “versatile musician” with the ability to “play multiple styles of roots music” on many instruments. You can also enjoy music, crafts, foods, and a visit from Santa. It is hosted by Lucy Allen and Marshall Goers, and also features The Wolf Moon String Band and Lissakeole. For additional information, please contact the Hagood Mill at 864-898-2936 or go to the website at www.visitpickenscounty.com/calendar . For more information, please call 864-898-5585 or go to the Visit Pickens County Calendar page.